Climb on board the slightly wayback machine with me. Today I’d like to take you back to the year 2008. That’s the year that former school board candidate Jane Grimes and I were appointed to the board that oversaw the Metropolitan Arts and Education Channels(MEAC). MEAC was made up of Channels 9 and 10, dedicated to arts and education programming, respectively. At that time, Channel 19, the public access channel, was its own entity, with its own set of problems. We arrived on the MEAC board shortly after former director Michael Catalano had resigned. What we found was an organization in disrepair, whose very existence was in jeopardy. I remember those first meetings vividly. A board chair who didn’t use email. Another board member falling asleep during discussions on the hiring of a new director. Financial support was at a low point. Jane and I just looked at each other, and after a couple WTF’s, we dug in and got to work. Metro Government had decided that it wanted to restructure the whole organization and place all 3 channels under one umbrella: the Nashville Education, Community, and Arts Channels (NECAT). This was a noble endeavor, though one without a blueprint. Finances were in such disarray that it was impossible to even get a financial audit due to so many missing records. Producers at Channel 19 wanted a better organization, but were rightfully very protective of their turf. Equipment was in need of an update, and we had an oversight board that only wanted to meet when it had good news to report. It was challenging to say the least. Jane became chair, due to her more diplomatic nature, and I assumed the role of vice-chair. Joel Sullivan joined us on the board several months later and undertook the task of cleaning up the finances. And then the bare knuckle fights began. We began to have those painful, honest conversations that nobody wanted to have because they felt that having those conversations publicly would threaten our tenuous financial status and potentially threaten the organization’s existence. One of our first moves was to bring Kim Hayes on board as Executive Director. We brought her on more as a partner than a savior. Board members were extremely involved – I’d start naming them, but I know I’d forget somebody – and available. Expectations were placed as much on the board as they were on our director. The board was seen as both a resource and a governing body. Man, it was a lot of work and the future was extremely uncertain. The organization was so fractured and the history was so bad, yet people were so passionate about the organization. We had to take that passion and build upon it. We didn’t always see eye to eye on things, and things sometimes got heated, but I believe we always respected each other. It didn’t hurt that we had Keith Myles on the board to bring a certain zen to the proceedings. We began to make progress. Jane rolled off the board and I became chair, a position I would hold for three years. Kim recruited John Ferguson to head up the tech side of things. We began holding monthly meetings with all members of the organization, where we presented things to them, but more importantly they presented their concerns to us. I remember getting blasted at a few of those meetings early on. Channel 19 producers didn’t trust us or believe we had their best interests at heart. We won them over by listening, doing what we said we were going to do, and when we fell short, being accountable. I remember one meeting where producers wanted a green screen to improve the quality of their productions. I agreed to procuring the green screen. Unfortunately, I hadn’t followed through with that promise by the time the next meeting arrived. The reaction was as expected: members weren’t happy. But I stood in front of them and acknowledged my failure to deliver. By the next meeting, the green screen was provided and slowly but surely, trust grew. Working as a partner with Kim allowed us to make real progress. Over her tenure, Kim Hayes brought stability to an organization that had none. Guiding principles and practices got established and she put us in a position to move forward. After 3 years at the helm, Kim was exhausted and realized that we needed a new director in order to make the next step. Thanks to her tireless work and dedication, we were ready to take that step. I stayed neutral on the search until we had a finalist. The board was deadlocked over 2 candidates. The tie-breaking vote would come down to me. After talking via phone to both candidates for over an hour each, the decision was made to offer Trish Crist the position, which she graciously accepted. And the organization has been better for it ever since. When we brought Trish on board, a decision was made to have the board be less involved in day-to-day operations. But we didn’t do that instantaneously. The board continued to offer input, and as board chair, I continued to ask questions. As time went on, I found the need to question less and less. Through working together, the board and director’s vision had become aligned. Today, NECAT is doing extremely well and continually growing. New producers are joining the organization, along with new business partners. The last seven audits have all come up unqualified. That’s a long way from sitting across the desk from a frustrated auditor who’s saying they have no idea how to complete this audit. I am extremely proud of this legacy, but not in the manner of hey, look what I did. But rather, look what happens when a group of dedicated and passionate people unite around a common goal and are brave enough not to shy away from the ugly side of things. To me, that bravery was the first step and the foundation upon which success has been built. Now you may be wondering why I’m telling you this long-winded story about an organization that many of you probably didn’t know existed. I’m telling the story because I’m starting to hear similar rumblings around the subject of MNPS. People are wringing their hands over the negative stories and starting to say we shouldn’t talk about the negative. Bringing up the bad is going to hurt in procuring the budget. By criticizing Dr. Joseph and his leadership, we are just making charter schools more attractive. We need to just focus on the good. I understand that and appreciate it. But it’s been my experience that people already know the bad whether you talk about it or not. Not discussing it doesn’t make it go away. I’ve repeatedly said this, and will continue to say it, we need to love our public schools like we love our families. We need to continually tell the truth. Telling the truth is the only way to earn trust, and without trust, the system collapses. Having honest conversations is often uncomfortable but it is essential. Being willing to face the things that are not working is only part of having those hard conversations; there also needs to be a willingness to dissect the things that are working and identify the individual elements so that success can be replicated. For example, if we actually are doubling the number of kids in advanced academics, how are we doing it? Are we using an expensive screener that may be cost prohibitive in the near future, or are we doing so in a deliberate and scalable manner? Same with the literacy scores. We can’t just celebrate one instance of scores rising like it’s a trend, especially when we can’t draw a direct line between strategy and effect. When we can show a direct and clear link between cause and effect, replication occurs and greater success follows. I love our public schools. I will fight for them like I will fight for a loved one. I will acknowledge the shortcomings in order to consistently improve the outcomes, and I will sing the virtues aloud to all who will listen. Our schools and our kids are too important for us to employ anything less than rigorous honesty. Tackling those hard conversations is the only way to convince taxpayers that our schools are worthy of their investment. Nobody ever gave anybody more money because they just demanded it. We have to prove that we are willing to be good stewards of our resources. The only way to do that is by building trust. You earn trust by acknowledging and correcting, not by soft-peddling and failing to address. It’s really a simple formula, though not an easy one to adhere to. As one final thought, MNPS leadership is quick to point to the axiom that change is hard. But what leaders often fail to recognize is that it’s not only the organization and its components that is changing, but also the leaders themselves. They are now leading a new organization. One with its own personalities and traditions. It’s imperative that new leadership recognize that they are no longer the head of their previous organization and that in their role as new leader, they can not just apply the same practices they did in the past. The leader has to change as well, and yes, change can be hard. Yesterday it was dueling visions on local television stations. Over on channel 2 WKRN, MNPS Director of Schools Dr. Shawn Joseph was selling his proposed budget and citing successes from the past year to support that budget. Meanwhile, over at Channel 5 WTVF, investigative reporter Phil Williams was giving the first of two reports on how some of that budget money is getting spent. Interestingly enough, the normally media-shy Joseph was spotted over at Fox 17 and Nashville Public Radio as well. Hmmmm… perhaps we’ll hear more about the thespian from Maryland we paid $100k to improve ACT scores at middle schools despite having no formal training in education. Sort of plays like a character out of the pages of a Jonathan Franzen novel. Many folks are paying close attention to the teacher strikes in West Virginia, Kentucky, and Oklahoma, and naturally wondering if they could spread to Tennessee. Both the Tennessean’s Jason Gonzales and TN Ed Report’s Andy Spears decided to tackle that very subject. Personally, I believe the seeds are in the ground, and if we aren’t cautious, they will germinate. Good news this week out of the capital. Somebody put the Tennessee whiskey down and realized that arming teachers was a terrible idea. The proposed bill failed in committee with Rep. Eddie Smith (R-Knoxville) saying he thought the bill to arm teachers had been drawn up on a napkin, and Rep. Roger Kane (R-Knoxville) remarking that he believed the proposal could open the schools up to lawsuits. On the flip side, the Tennessee House resoundingly passed two bills on Wednesday that would restrict and also require more reporting on the use of corporal punishment for students with disabilities. Cause for celebration. 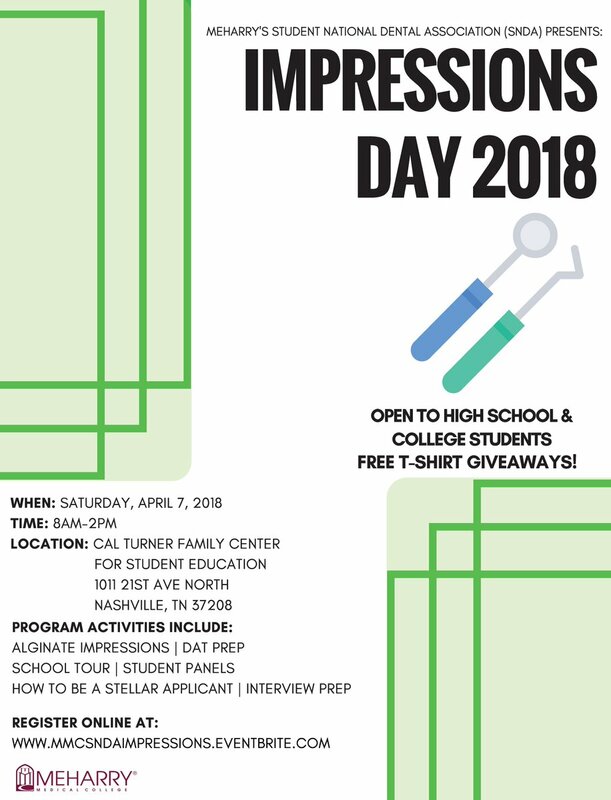 This Saturday, April 7, Meharry Medical College is hosting Impressions Day, a program that introduces high school and undergraduate students to the demands of the dental profession while offering suggestions for gaining acceptance to and succeeding in dental school. Here’s an interesting story out of Denver. Apparently, district-run schools are given an opportunity to vote on an “innovation plan” that allows for increased autonomy in return for increased accountability. This year, two schools decided to vote against the plan, and as a result, forego the autonomy. I’m not quite sure what it all means, but I find it to be food for thought and possibly a future poll question. Seattle Public Schools selected a new superintendent of schools yesterday. I’ve been keeping an eye on this search for a number of reasons. Seattle shares some similarities with Nashville and there were rumors that some local folks had an interest in this race. The board selected Denise Juneau for the job. I like the reason for hiring her: “The work that we do is based on trust, and what I heard from so many people is that Ms. Juneau was already coming with a high level of trust,” Board Vice President Rick Burke said before the vote. Glad the Seattle board recognizes the importance of trust. That’s another one in the bag. If you need to contact me, you can do so at Norinrad10@yahoo.com. I’m always looking for more opinions and try to promote as many of the events that you send to me as possible, but I do apologize if I fall short and don’t get them all out there. In my opinion, the general idea that we must only express positive thoughts is the greatest barrier to any real progress that can be made in MNPS. Those of us who express anything negative are shunned and retaliated against. I wish I knew what to do about this. I’m truly disturbed by the Phil Williams stories. Not for the amounts involved (small potatoes) but for the attitude reflected by the MNPS responses to his emails. Everyone in the city should read those emails that are available in Phil’s story from Friday as a link near the end of the text version on the Ch5 website. Originally I felt the communications department had undergone a minor upgrade over the Register version of that department. But this year the communications department has been so awful. There is a clear stench from the top of MNPS that goes a little beyond sloppy and into the territory of contemptuous disregard for good practice, and the communications department allows us this sad insight again and again lately. What I REALLY want to know is where Chris Henson is on the sidelines of this story from Phil?! It would appear to me that we have reached that proverbial point in MNPS where there are no more grownups left in the room. Chris is usually that grownup. Where are you Chris? Don’t go down with ship, dude. You should check out the MNPS Facebook page. There’s a fairly lengthy back and forth between the Public Info Officer and some people with questions. It has a real Sarah Huckabee Sanders feel to it. I am unsure here about some of the questionable logic behind the budget issues.. First the loss of 1500 students. From the numbers TC provided on charters is appears that they grew by a total of 500 kids. So the other 1000? All relocation, private or home schooled? Wow. Then we have the Thespian hired to work in a Middle schools for ACT coaching? Is that not a HS test? Why Gra-Mar when Stratford has a MS. He could just walk between the buildings. Saving money I am sure! And if he had never done it before and had no history/data to back that up would that not be something better suited for a Charter as that was the idea behind them – optional/experimental. So now Edgenuity is not being used as credit recovery? Funny it is still in some high schools but given its controversy in San Diego, Atlanta, Baton Rouge and others regarding cheating and in turn inflating grad rates I can see why it might be need for a change. But again this was all a matter of public record for the last two years does no one Google anything even cursorily for info? And what happened to MNPS running its own online courses? They used to. Why no longer? And my thoughts on MNPS or TN striking. I don’t see it. There is too much divisiveness and fear here and you cannot have a mass walkout without belief that retribution and retaliation will not occur. There is always a risk and I know first hand what happens when you strike. Some schools come out stronger others divide and blame in ways that end up dragging out longer than the strike. To strike you have to be risk adverse. That is not possible when you cannot have honest communication and exchange. It is something I have yet to experience or witness. Well other than this blog. And I got the analogy about your prior experience but that is not about conflict it is about the desire to find function out of dysfunction and in turn find resolution via compromise. This district is too big to fail… to steal a phrase… and in turn unable to communicate effectively among its members. The book explains that this was done and was by intent. No it was right on the money… Dysfunction and demand for change, some distrust, some frustration and it took time, commitment, a willingness to communicate and in turn frustrate and find a way to work together to find a resolution. And people quit but good people were found, questions were asked, demands made and in turn rejected or accepted as what was the best for the station. That is about what it takes when you are willing to do the work. Now apply that to MNPS – that would be great but the scope, scale and size and the intervention or interference by numerous outsiders be that Legislators, The Chamber of Commerce, Astro Turf Groups (and you have them here), and of course Parents the ability to find a common ground is shoved so far apart that the Continental Divide and the Grand Canyon seem like sidewalk cracks. Until a real Board is elected and willing to work together, listen to the real community they serve – Students, Parents, Teachers, Administrators and of course the Director who listens to all of those and the appropriate others in place that have a vested interest in running and operating the schools this will continue. And again this was by design and intent. The weakening of unions, the lack of a cohesive district with communication between and among feeder schools let alone the hundreds that are spread across a county. Then add to this the endless scandals and distractions that dominate the dialogue are others that lend to the chaos. I am not sure what will ever be done to adequately serve the Students and in turn the community. 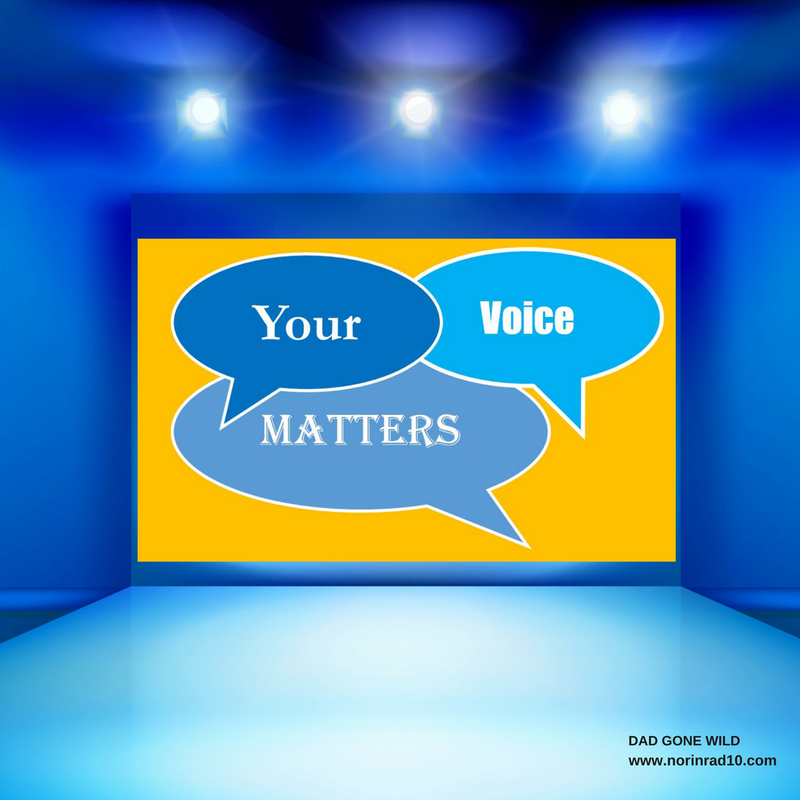 So the big question is how to start to change that dynamic and that is via the Board and the members and in turn their willingness to do the heavy lifting and ask the questions that DEMAND answers. And you are one who is.. are there others? PS I would be willing to teach dance and movement as a way of improving test scores for way smaller fees say 45K and while I haven’t had a dance class since I was 15 I am pretty sure I am still really good at it. And I like dancing. I have the shoes and everything! So anyone in Metro let me know! I believe MNPS does still run some online classes for students who are hypothetically on track, just not for credit recovery. It’s good practice to keep those programs separate. I also am aware that some schools are using EdG. I believe the directive was to use it for everything but math (still A+). The long term plan is fuzzy but I do think the top brass were TRYING to save some pennies by getting a lower rate over a longer contract with EdG. They went about it very wrongly. Also it might be worth pointing out that WCS to our south has never run their own online system and is starting one in 18-19. They will be keeping A+ for credit recovery.